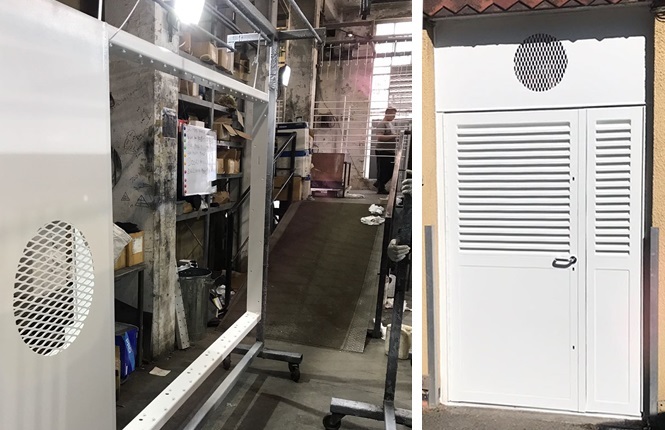 Our RSG8200 steel louvre doors are British Manufactured, primarily engineered for airflow & ventilation and available with a wide range of hardware & a high quality powder coating finish. 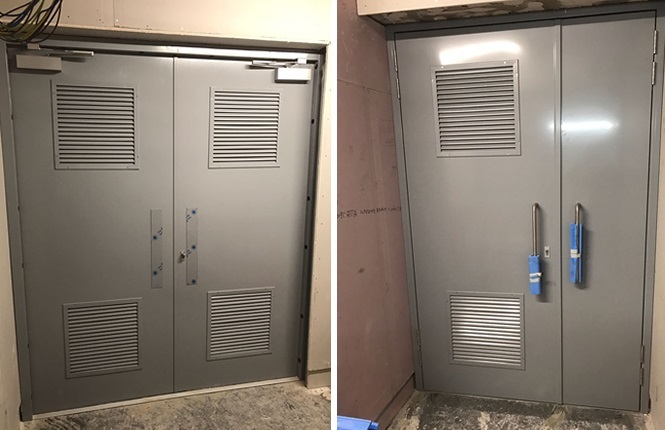 All our louvred doors are made to order to suit your aperture and fabricated in either single, leaf and a half or double leaf combination, along with different level of security to suit your project requirement. 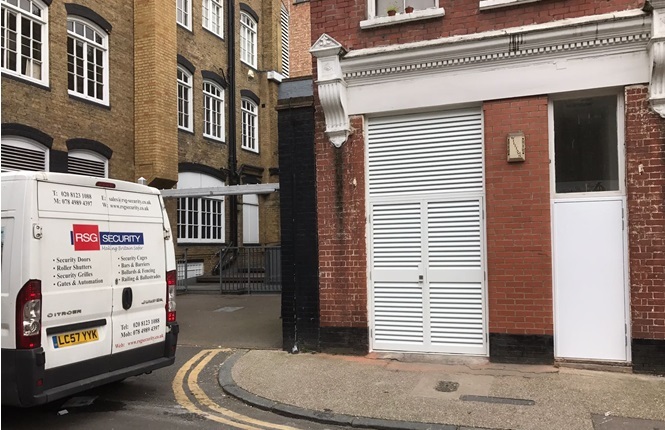 Besides, we provide both a supply & delivery service, as well as a complete survey & fitting service in London and its surrounding counties, keeping Britain safe with the increasing demand of the combined security and air flow requirement on plant rooms, boiler/engine rooms, gas storage units, along with substation and wind turbine power facilities. 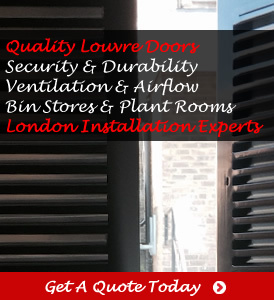 Combining Quality, Airflow & Security - Get A Quote Today! 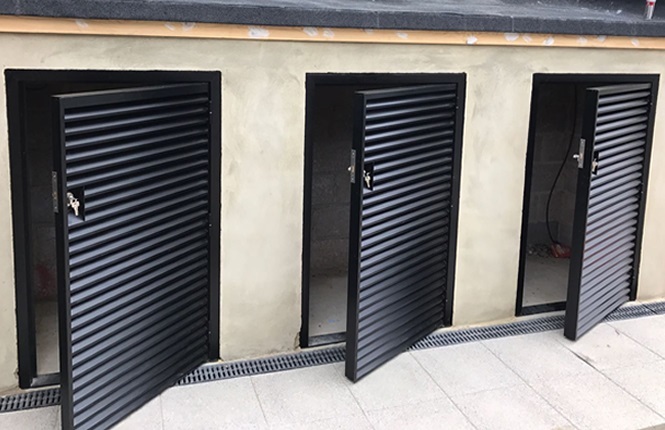 The complete range - steel doors with louvre infill panels, fully louvred doorset, steel fire doors with integrated fire block louvres and a range of high security louvred doorsets. Certified to international standards - CE Marked, ISO 9001:2008. 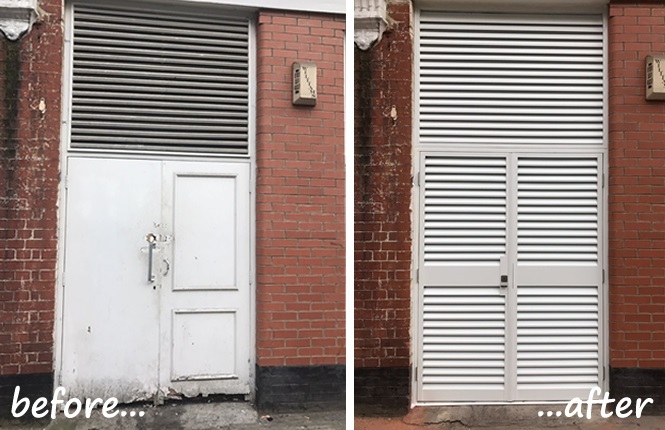 A British replacement to timber & Chinese imported louvre doors. 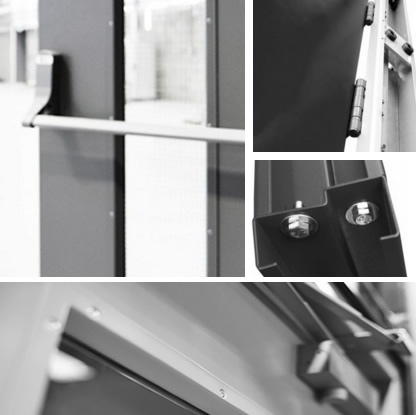 Built-in security features as standard - See Our Door & Frame Specification. 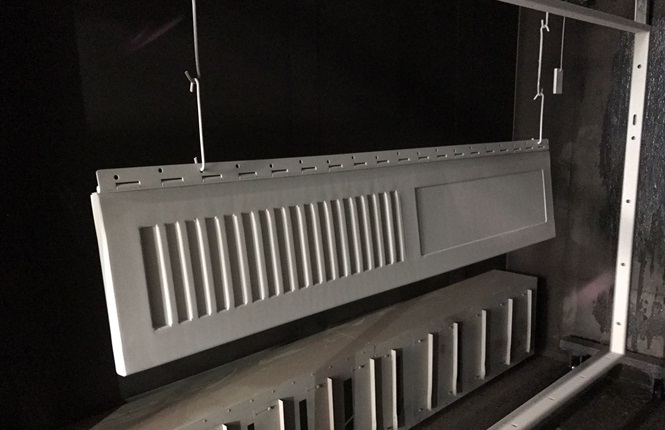 A wide range of powder coating colours available on request. 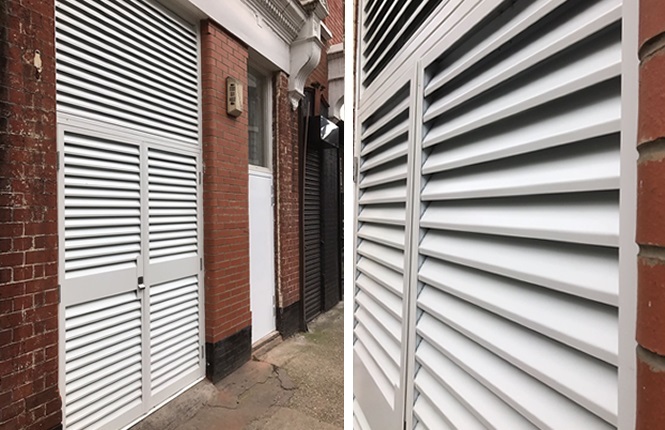 By incorporating louvre infill panels into our steel doorsets, they provide a cost-effective ventilation & airflow solution. 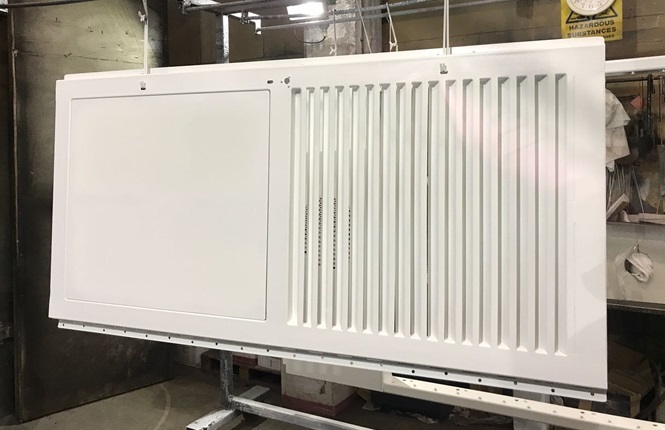 Our standard louvre panels are made of either steel or aluminium and are available as small as 300x300, 400x400 to as big as 600x1500. For more info, Make An Enquiry Now! 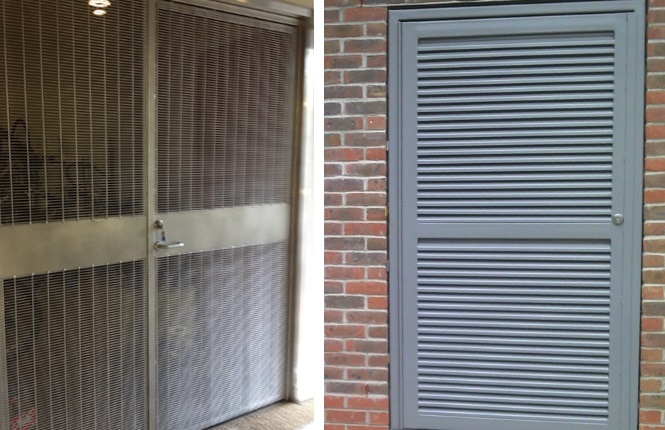 At RSG Security, we have a louvre solution for every requirement. 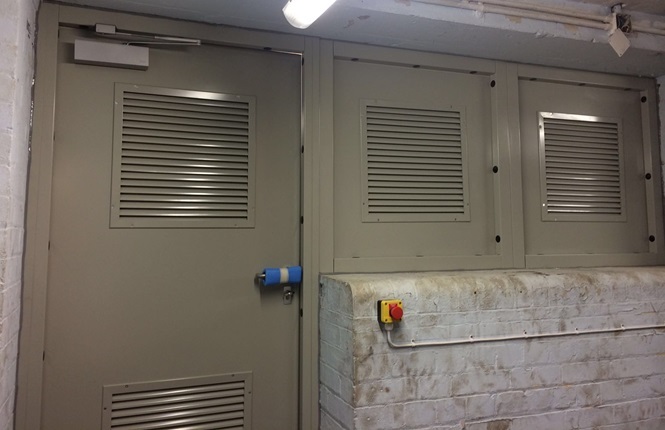 Where security is a concern and maximum air flow is needed, we are able to fabricate a range of both fully louvred & highly ventilated doorsets. 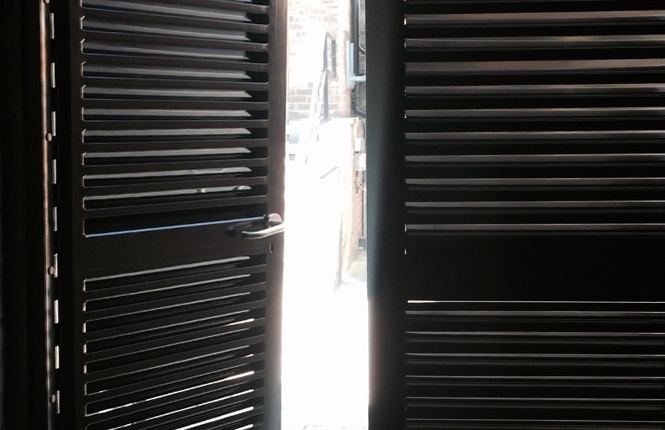 Please call us on 02081231088 for technical assistance and production specification. 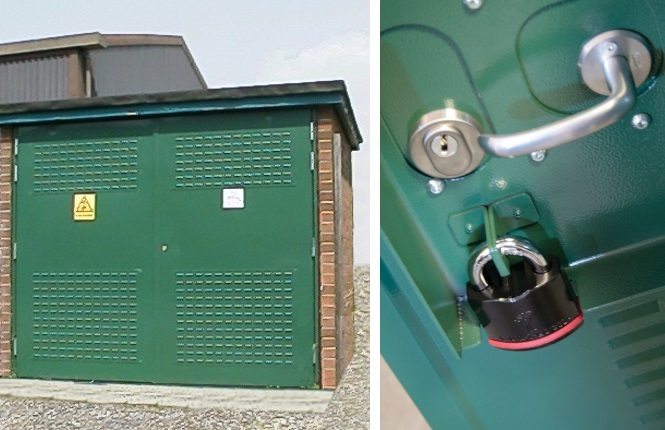 Securing sub-stations, oil & gas cylinder storage, pump rooms and transformer chambers, we are providers of a range of Substation Punched Louvre Doors, as well as High Security Louvre Doorsets, tested and certified to LPS1175 SR2 & SR3. 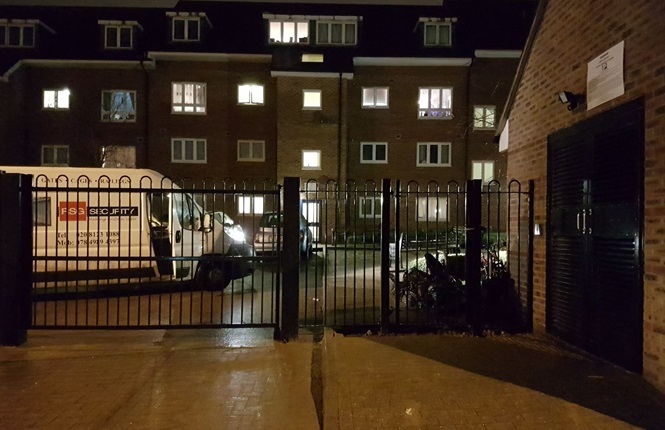 Please speak to us - 02081231088. Fire kills and destroys everything in its way, costing businesses thousands of pounds every year. 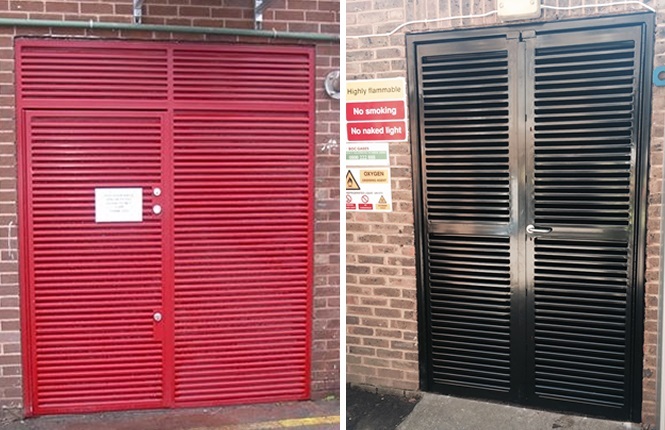 By integrating Zeroplus fire block louvres into our range of fire doors, we are able to provide ventilated fire doors which transform into solid fire doors in the event of a fire to stop the spread of smoke & flames. 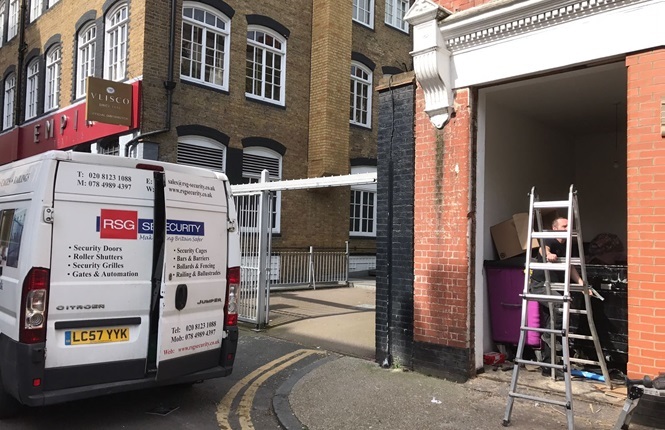 From standard sashlocks, deadlocks to more specialised 5-lever locks, multi-point locking, fire brigade locks, panic bars for fire escape, mechanical & electronic codelocks; as well as electric strike & magnetic locks for access control operation, we can implement any lock to satisfy individual customer requirements. If you have a specific lock requirement, please speak to a member of our Sales Team. 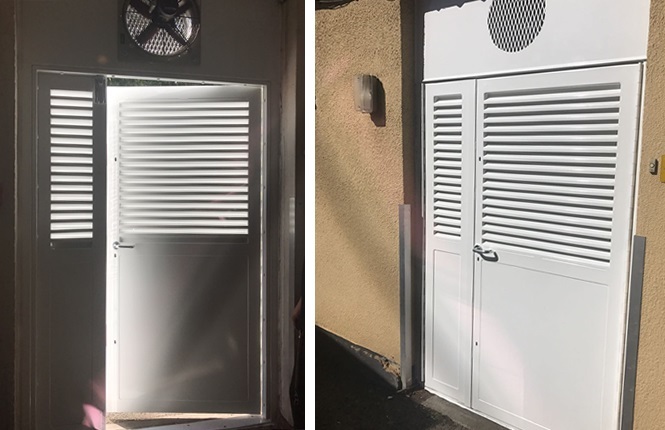 For enhanced security & functionality, our steel louvre doors are available with extra features such as stronger duty louvre blades, insect/vermin mesh, steel & louvred side/top panels, along a full range of hardware - our common few are friction stays, door closers, letter box, spy viewers, drop bars, flush bolts, rain deflectors, finger protection strips, Redlam & Key Box break glass units. 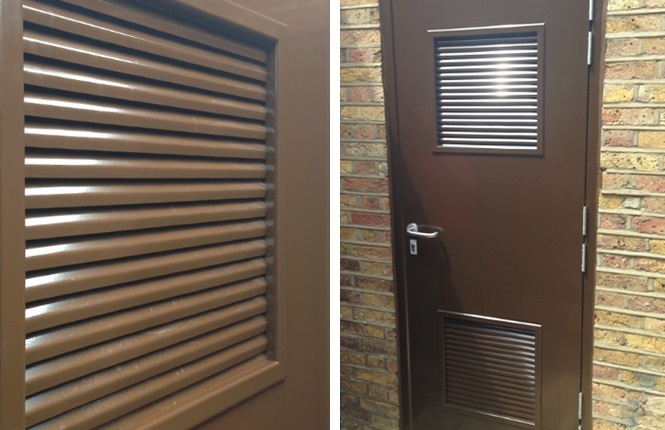 Please note these range are fabricated doorsets and hence the specification (steel thickness, threshold, etc) varies. For more info, please contact our office. 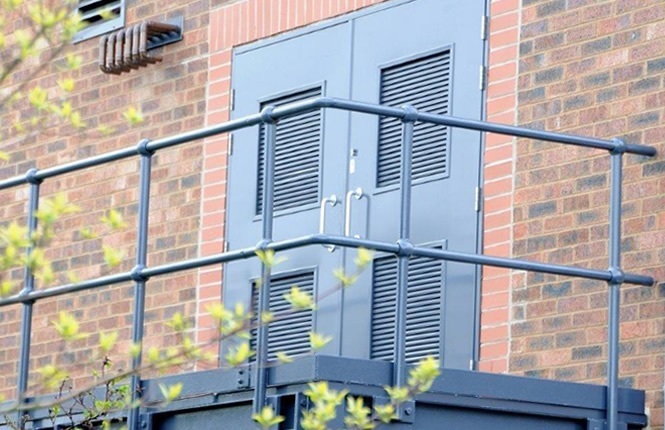 As standard, our security doors are manufactured in a powder coated colour finish, free of charge. The below lists our standard colour/finish available, please note colours are just a guide and may not be exact reproduction due to different screens resolution. 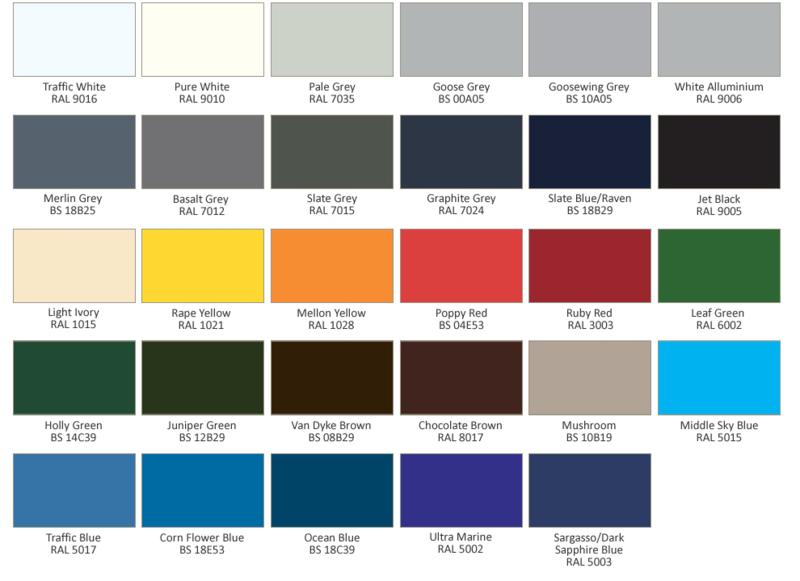 Should you require a specific colour, please provide us the 'RAL or BS Number'. If we have this colour in stock, we shall include at no extra cost however if not available, an extra charge will apply and we shall advise accordingly. Please click to Make An Enquiry Now!